Thick rubber drainage mat for heavy duty usage. Thick edges, no tearing. Chemical resistant. 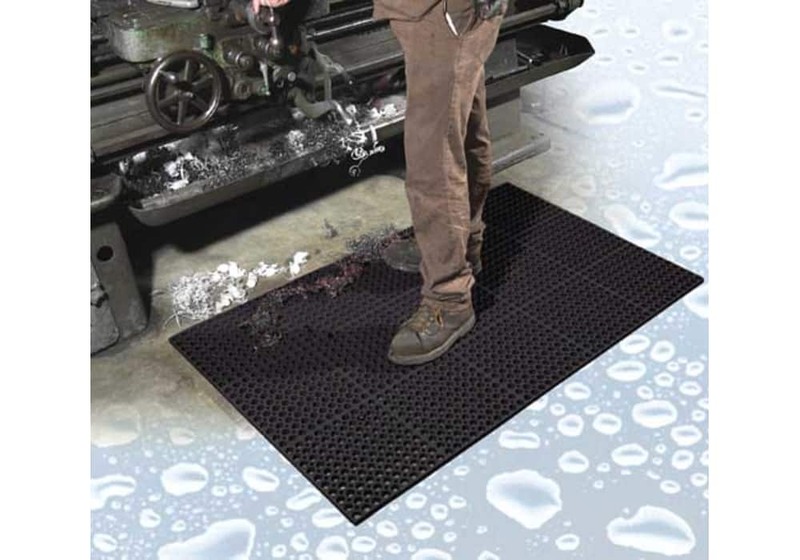 Select Size 3'x10'x7/8" 3'x15'x7/8" 3'x5'x7/8"
Made in the U.S.A. Our Tru-Tread Rubber Drainage Floor Mat has a Thick, heavy-duty, rubber construction that eases worker fatigue and increases productivity and safety. Great for dry, wet and greasy work environments. Grease-proof red nitrile rubber mat is recommended for areas using harsh industrial fluids and greases. Thickness: 7/8"
Straight cut edges (no bevels) let you place mats next to each other to create larger areas. Thick, heavy-duty, rubber construction eases worker fatigue and increases productivity and safety. Great for dry, wet and greasy work environments. 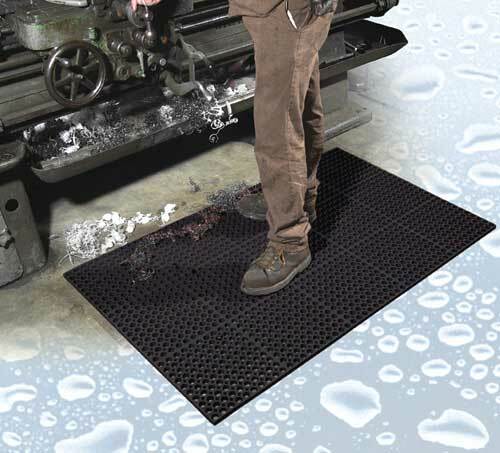 Grease-proof red nitrile rubber mat is recommended for areas using harsh industrial fluids and greases. 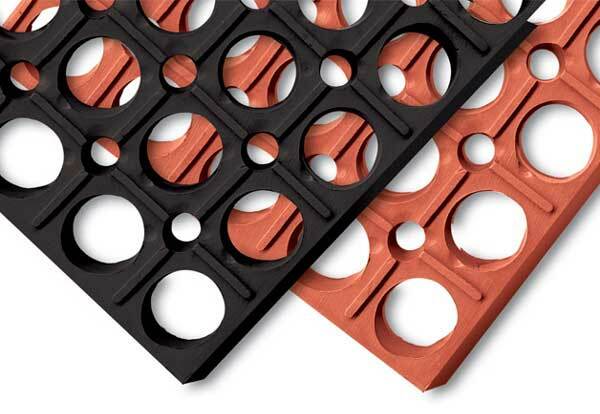 3'x10' and 3'x15' sizes are manufactured by permanently bonding multiple 3'x5' mats together. 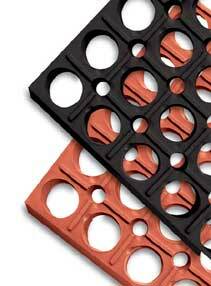 Straight cut edges (no bevels) let you place mats next to each other to create larger areas. 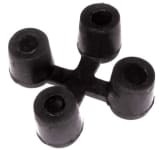 For more stable connections, use the TruTread X-Connectors. 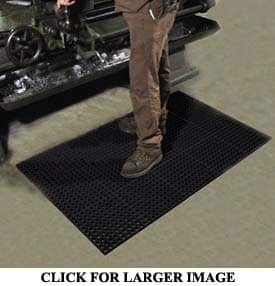 Also available with colored safety borders as our safety tru-tread mat. Product Weight (Red & Black): 2.4 lb/s.f.